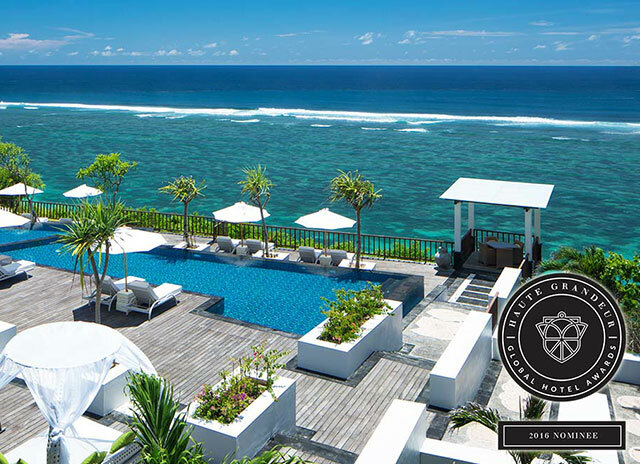 (Nusa Dua, 8 February 2016)-Samabe Bali Suites & Villas has been shortlisted to win Haute Grandeur Award 2016. Haute Grandeur is an independent international reward for best hotels in 7 continents and 172 countries. Marinique De Wet, the CEO of Haute Grandeur, aims to improve the quality of awards for hospitality industry by providing transparent and unbiased scoring system. The result will be based on voting that will be held later in 2016. This luxury all inclusive resort in Bali believes that being nominated in Haute Grandeur will open its worldwide market wider, which will be a good chance for a new hotel. On top of that, Samabe Bali Suites & Villas has a strong ambition to measure its true standards among hotels in 7 continents, 172 countries and it is confident that Haute Grandeur is the most suitable means to make it happen. Ralf Luthe, the General Manager of the resort stated "My team and I are honored to be nominated to win Haute Grandeur. This is time to challenge our resort to raise our international standards through the prestigious international accolades." Samabe Bali Suites & Villas, a luxury all inclusive resort, is situated on atop of the southernmost cliff of Nusa Dua. Introducing a new concept of all inclusive called "Unlimited Privilege", it offers unsurpassed luxury with unlimited food and beverage, Samabe Signature Activities, high quality amenities and facilities through its 81 suites & villas, private service from seasoned butler, and more. Samabe Bali Suites &Villas takes a stab at highlighting its guests' vacation in Bali.